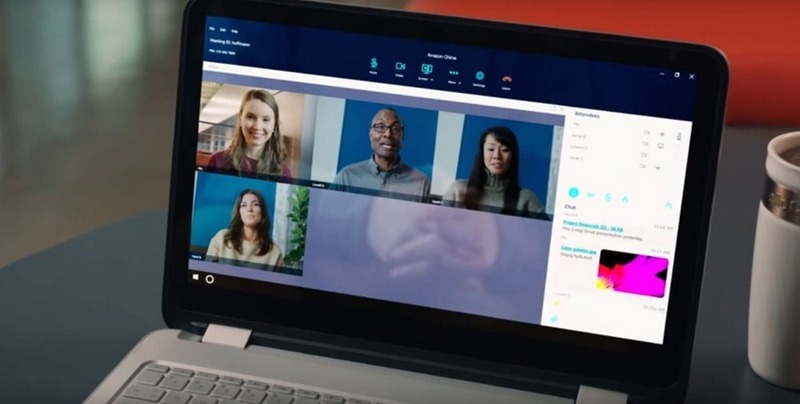 Amazon Launches ‘Chime’ for Online Meetings & Video Conferencing! Corporate communications usually take place through a number of companies offering voice, video and chat services, like Avaya. Skype for Business also tried to make a dent in the industry but was let down by poor service. Amazon Web Services(AWS) has taken on this challenge but introducing Amazon Chime – a modern, fully-managed communications service from AWS that makes it easy for you to communicate with people inside and outside your organisation using voice, video, and chat. “With Amazon Chime, online meetings are easier and more efficient, crystal clear audio and high definition video keep you focused on the discussion, and the service is designed to work seamlessly across desktops and mobile devices,” the blog post from Amazon read. Since Amazon Chime is a managed service that runs on AWS, you don’t need to possess or maintain complex infrastructure and software. The data centres and network architecture are also very secure for organisations that demand that much privacy and security. The usual telephony services require you to input long pins and passwords, but AWS has done away with those. As soon as a meeting is set, the meeting calls you instead and you can join it with a single tap, or ignore and decline it with another tap. You can have online meetings, video sessions, voice calls and even chats through the app. A visual roster shows who has joined the meeting and who is running late, and allows anyone to mute background noise. It is similar to the services we have now, but the infrastructure is a lot more advanced and user-friendly. The app is very easy to use and allows you to set up meetings instantly, join meetings or suggest meeting times. Once you have logged in the account, you can technically join from anywhere, not bound by the desk phones. The Chime Basic is free of cost, Chime Plus costs $2.50 per user per month and Chime Pro costs $15 per user per month. Amazon Chime Pro is free to try for 30 days. After 30 days, you can purchase Amazon Chime, or you can continue to use Amazon Chime Basic tier for free, for as long as you’d like. The app is available for Android, iOS, Windows and Mac and it is integrated across all devices. You need to have an AWS account before you create a Chime account. There is no upfront fees or hidden charges, you directly pay per user per month from the pack you choose. It is great for small and medium enterprises who do not have a lot of resources and want to work efficiently without having a load of a large telephony service. AWS promises good service and it is extremely beneficial for Indian companies that are into outsourcing work. "Amazon Launches ‘Chime’ for Online Meetings & Video Conferencing! ", 5 out of 5 based on 2 ratings. Income Tax Revolution: New PAN Card In 5 Mins Using Aadhaar e-KYC; Unified App For Paying Taxes! Amazon Prime Video Is Now Live In India – 3 Facts Which You Should Know!